At some point, every homeowner will find a crack on the walls of their house, and this is true even for structures that aren’t built in an earthquake prone area. Wall cracks can be an indication of a major foundation or structural damage. But they could also be the result of regular wear and tear or material ageing, and nothing to worry about. So how will a homeowner know when a crack is a cause of great concern that needs to be dealt with immediately? When should you call a professional to fix the problem? Let’s briefly discuss. 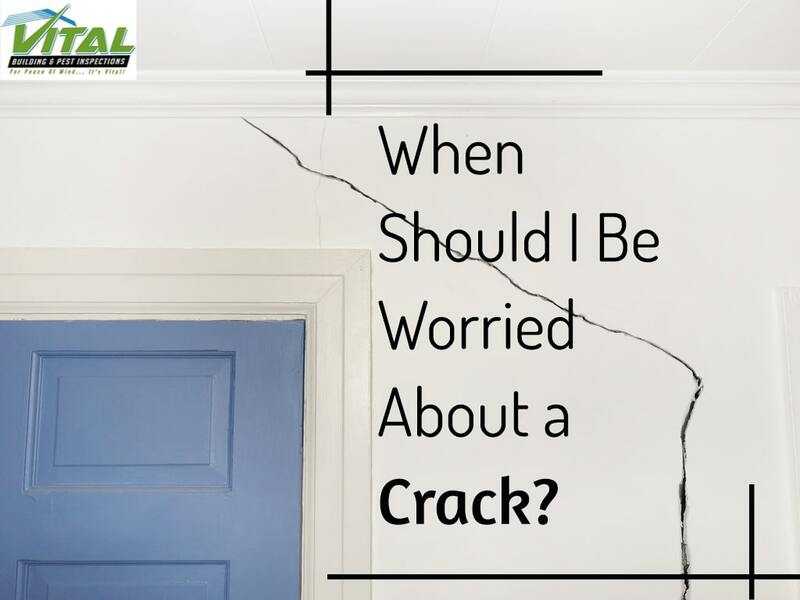 Cracks can appear on your walls for a variety of reasons, so it’s a good idea to know the actual cause first before you start worrying about what to do. There’s actually some complex science that explains what’s happening, but we’ll keep it simple here. First, the walls of the house naturally shrink and settle as the building ages. Different materials do this at different rates, thus, you can expect cracks to appear over time. Second, some hairline cracks may develop as the concrete cures (dries and loses most of the water that has been mixed with the cement). In building a house, the cement used to form the structure is usually supported with restraints like piers and partitions, so it is nearly impossible not to find a crack if this is the case. The walls’ integrity could also be dependent on the degree of drying, as well as the strength and strain of the tensile around the structure. Third, the appearance of the cracks can be due to the quality of the cement used to build the house. It can also be the result of seasonal and environmental conditions. The cracks will definitely show if the weather has been too damp or too hot in your area. In some cases, the cracks can appear because of the actual design defects in the structure. They might be caused by construction problems or fractured masonry, including the improper pouring and laying down of the cement that makes up the concrete. A growing tree root near the wall. In general, cracks do not immediately mean there is a problem with the durability and stability of the wall. However, it’s only right to ensure that these flaws should be minimal, if not non-existent. The direction and shape of the cracks on the wall may help determine the extent of the damage. As a homeowner, it is important to know what these cracks indicate so you won’t be at a loss when discussing your options with a professional who will help correct the flaw. These looks similar to the steps of a set of stairs. Their direction and shape show signs of wall shrinkage or expansion. Usually, the cracks develop when there’s a concentration of stress at the corner of the structure where there is a window or door. This type of crack can develop due to shrinkage, too. However, the cracks might further widen as the structure’s foundation settles and as your area’s temperature constantly changes. Vertical cracks that appear wider at the bottom show signs of movement in the foundation, which could signal a big problem. These can indicate water damage and the shifting of the foundation. Horizontal cracks can be signs of early failures in the structure as the retention and support slowly lose its strength. Rainwater could seep through the wall’s interiors as well, so consider this as another serious problem that must be addressed as soon as possible. It’s imperative to monitor the cracks on your walls, regardless of the extent of the damage. If it’s a hairline crack and you have no plans of repairing it right away, then you can mark the area with a pencil, include the measurements using a ruler, and indicate the date when you first spotted the flaw. This information will be helpful to the professionals you will eventually hire to fix the problem. You cannot close the doors and windows properly because their frames have shifted along with the walls. One side of the structure is already higher than the other. There’s a noticeable slope on the floor. Cracks that are a few millimetres wide can be negligible and are not a cause for concern. However, they are not often aesthetically pleasing to the eye. You might want to patch them up and repaint the wall to cover the flaw. Even if it’s a hairline crack, however, you might want to still have the site inspected by a qualified professional first before tackling the DIY repairs. Wider cracks with a gap of about 15 millimetres might require remedial building work to stop the problem from escalating or recurring. You should seek the help of a professional to determine what could actually be causing the cracks so any problems can be fixed. Severe cracks that are more than 25 millimetres wide will require extensive building work. This might involve replacing a section of the wall, as it could be in danger of collapsing. As a homeowner, one of the worst news you can receive is when a professional says it’s too late to do minor touch ups to the damage in your property. 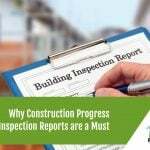 It’s smarter and more practical to schedule yearly building inspections as a maintenance and preventive measure to your most valuable possession and investment. We conduct a thorough assessment of your property’s condition at Vital Building Inspection. We’ll help you prepare a factual report, should you require repairs or be preparing the property for selling or renting. Do you need to discuss your options with our well-trained and experienced professionals? Contact us today.